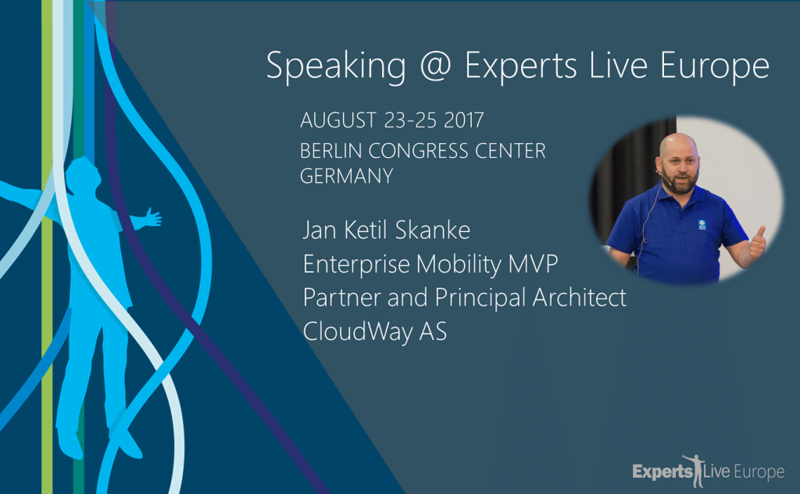 CloudWay is very proud that MVP Jan Ketil Skanke was chosen to fill one of the speaker slots for Experts Live in Berlin. Jan Ketil is not only presenting at 2 session but he is also participating in 2 different Discussions Panels. One of the buzzwords of today is identity driven security. What is it really? Come and learn how to use Conditional Access together with other Microsoft protection solutions in the cloud to protect your applications and data both Onprem and in the Cloud. We will dive into how this comes together with devices and Microsoft Intune and risk based access with Azure AD Identity Protection.